As you prepare Thanksgiving dinner, make brunch for camped out family, serve snacks for watching the football game, or bake holiday cookies, no matter the age, the kids, grandkids, nieces and nephews can—and should—help in the kitchen too! The benefits and memories to getting their hands in making a family meal like Thanksgiving, Christmas, or Hanukkah are extraordinary. 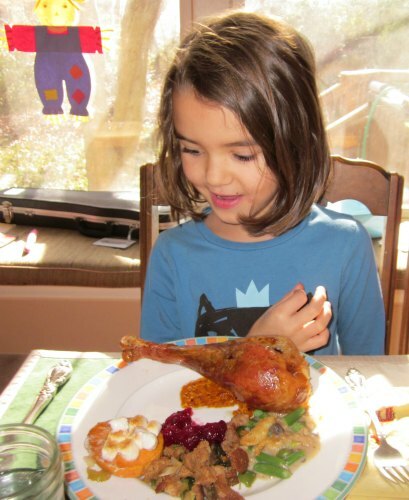 Katie Workman, of the Mom100 blog and cookbook, shares a few holiday meal tips on how kids can help with the Thanksgiving meal. I love her age specific chores and I hope you and your family enjoy preparing your Thanksgiving feast together. Age specific chores to get kids helping in the kitchen, learning and having fun! Wash the potatoes with a scrub bruch or scrub gloves for little fingers. Start working lessons on math and chemistry at this point. And if you don’t know the answer to some questions – get them on the computer looking it up! What does baking soda do to a recipe? What is the difference between unsweetened and semi-sweet chocolate? Why does flour thicken the gravy? But if the idea of getting them in the kitchen during the thick of it is too much – there is a lot more they can do to help and get involved. Happy Holidays! I hope you and your family have a great time cooking together, working together and celebrating together! 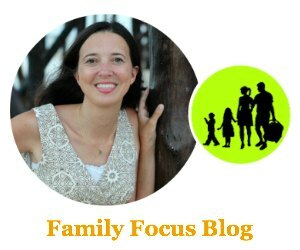 Thanks so much to Katie Workman, of the theMom100.com, for sharing her tips with us. You can follow her on Facebook too for some great recipes!